Hyoscyamine is a Generic name for a drug that contains tropane ring in its chemical structure so it is sometimes called as tropane alkaloid. 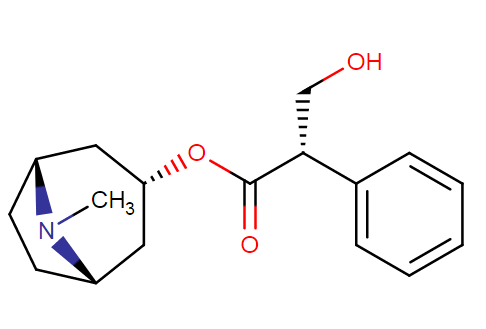 It is a secondary metabolite from plants of family Solanaceae (Deadly nightshade family). This family also includes certain plants like tomato (Solanum Lycopersicum), Jimsonweed (Datura Stramonium) etc. Datura Stramonium is a common plant which is generally found in roadside. This drug is also known as the levo-atropine because it is the levorotatory isomer of atropine (used in the treatment of irregular heartbeat, snake poisonings). Levorotation is based on the direction of plane polarized light. If the light rotates in an anticlockwise direction, then it is levorotatory. What is Hyoscyamine molecular formula and weight? Hyoscyamine belongs to the class of chemical entities known as tropane alkaloids. These are organic compounds containing the nitrogenous bicyclic alkaloid parent N-Methyl-8-azabicyclo[3.2.1]octane. It belongs to the anticholinergics drug class. These classes of drugs have a broad range of medications. They are generally used in treating muscle-related problems, urinary incontinence, certain types of poisoning, breathing problems, diarrhea, gastrointestinal problems etc. They work by blocking the action of acetylcholine, they are the chemicals made and released by nerves that travel to nearby muscles and glands and they get attached to the receptors of the nerve, glandular cells. This attachment can inhibit the activity of the receptor-containing cells. Anticholinergic drugs act by preventing the acetylcholine from binding to its receptors. They decrease the muscles activity in the gut and reduce the level of production of sweat, saliva, urine, tears etc. So they are widely used in the surgical purpose to decrease the level of urine. They are also known as antispasmodic drugs, which help to maintain the neurotransmitter named dopamine which plays an important role in maintaining mood, problem solving and motivation. How does Hyoscyamine work in the body? Hyoscyamine acts as an antagonist of acetylcholine receptors. It blocks the action of acetylcholine at the muscarinic receptors in the salivary, sweat, bronchial, eye, heart and gastrointestinal tract. As a result sweat, saliva, urine, acid in the stomach, mydriasis, and changes in heart rate is secreted in lower amounts. Heart rate is increased, lowers blood pressure. These brands are distinguished based on the route of administrations and manufacturers. What is Hyoscyamine used for? It is used to control the motion of the stomach and intestines and the secretion of stomach fluids including acid. It is also used to treat bladder related problems, peptic ulcers, irritable bowel syndrome (IBS), cystitis, pancreatitis, colic, to treat heart conditions to decrease the symptoms of Parkinson’s disease, control of respiratory symptoms (hyper-mucous secretions). It also helps in clinical procedures to reduce the excess urine production before surgery. Hyosciamine is available in following dosage forms and strengths: Immediate release Tablet 0.125mg/1, Extended release Tablet, 0.375 mg/1, liquid, 0.125 mg/5mL, Solution/drops, 0.125 mg/mL, Injection, 0.5mg/mL, Elixir, 0.125mg/5ml. Immediate release: 0.125 to 0.25 mg every 4 hours. Not more than 12 tablets in 24 hours. Extended release: 0.375 to 0.75 mg every 12 hours. No more than 4 tablets in 24 hours. Elixir: 5 to 10 mL every 4 hours (0.125 to 0.25 mg). no more than 12 teaspoons in 24 hours. Oral drops: 1 to 2 mL (0.125 to 0.25) every 4 hours. No more than 12 mL in 24 hours. 5mcg/kg given 30 to 60 minutes prior to the time of anesthesia or narcotic or sedative administration. Immediate release: 0.15-0.3 mg. It is given in a time interval of 6 hours. Extended release: 0.375 mg. given in 12 hours time gap. Immediate release: 0.125-0.25 mg. 4 hours time interval. Should not be given more than 1.5mg/day. Extended release: 0.375-0.75 mg. 12 hours time interval. Not more than 4 times a day. Immediate release: tablets 0.0625 to 0.125 mg.
5mcg/kg administered before 30 minutes of anesthesia administration. 5kg: 5drops no more than 30drops/day. >15kg: 11 drops no more than 66 drops/day. Immediate release: 0.0625-0.125 mg. No more than 0.75mg/day. Extended release: 0.375. No more than 0.75 mg/day. Adults and children with 12 years or older should not take more than 1.5 grams per day. Children with 2 to 12 years should not take more than 0.75 grams in 24 hours. Use Hyoscyamine as prescribed by your doctor. Dosage level depends on your medication and overdosage leads to severe effect. Check the label for exact dosing instructions. Route of administration for Hyoscyamine is the mouth. It should be taken 30-60 minutes before food intake as directed by the doctor. Injection should be used only at the hospital or by a pharmacist. Without doctor permission, one should not use intravenous mode of administration. Water should be taken in high amount because this drug causes loss of fluid from the body. The extended release capsule should not exceed twice a day. The capsules should not be broken, cut or divide. It should be taken as a whole capsule. The sublingual tablet should not be swallowed. It should be kept under the tongue and wait until it gets dissolved. Do not wash it off with water. Hyoscyamine oral spray should be tested in common place before usage. It should be sprayed twice away from your face and in the air. You should use it only after mist appears. Do not use it more than 30 sprays even there is left out medicine in the bottle. This class of drug rarely cause abnormal drug-seeking syndrome (addiction). This may increase the risk of alcohol addiction or drug addiction if you are using it in past. Any drug which is taken on a long term basis should be discussed with the health advisor. From the reports, it is found that this class of drug causes “true hallucinations” effect. From the patient point of view, they said that hallucinations can only be achieved by smoking cigarette. But they are getting it using hyoscyamine, a triggering neurotransmitter drug. Can I abrupt Hyoscyamine therapy suddenly? Can I stop taking hyoscyamine? Some people use Hyoscyamine drug even after getting rid of the disease. This is termed as a dependency. It will cause withdrawal symptoms after abruption of this drug. Doctor advice is necessary for the withdrawal of any drug suddenly. Medication should not be withdrawn before dosage gets over. All will experience withdrawal symptoms after a sudden change to the other medication. The withdrawal effect of hyoscyamine lasts for 6 weeks. Symptoms include severe anxiety, Body doing continuous work, vomiting, intestinal and stomach cramping, losing mind, restless leg syndrome, jaw clenching, trouble in sleep etc. consult a doctor for any severe effect even after 6 weeks of withdrawal. Don’t withdraw any drug without seeking permission from health advisor or before dosage getting over. If you are pregnant or planning to get pregnant inform previously. Kindly consult a doctor about your diet intake or any prescription or non-prescription medicine usage, herbal treatment etc. If you have taken any medicines for bowel problems or heart problems etc. If you are constantly ill for long period or if you have any other serious health issues. If you have nerve problems, kidney problems, paralysis, brain damage stomach problems, coronary heart disease, urinary problems and myasthenia gravis. This drug may increase the risk of heart stroke because it causes heart rate problems and decreased sweat. Avoid doing heavy exercise, try to avoid going out in the hot sun because it causes dehydration. Older adults will have an adverse effect during this medication period. Confusion and drowsiness may cause them to lose consciousness. Try to keep away from children. Nursing women should not use this drug without doctor prescription because it will pass into breast milk. Caution should be taken in patients with a hiatal hernia associated with reflux esophagitis. This drug will increase heart rate as a result tachycardia should be closely checked for every instance. Psychosis is observed in some sensitive individuals. The central nervous system signs (CNS) observed to get resolved after 48 hours of drug withdrawal. How long does Hyoscyamine take to work? It is generally made of an equal mixture of atropine and has much higher potency than atropine. When taking 4x times daily it will start its action in 15-30 minutes. It is also observed that patients using sublingual ( a drug taken below tongue) form recovered or responded much faster than oral form. How long does Hyoscyamine stay in your system – urine, blood, saliva? The half-life of Hyoscyamine is 3.5 hours. The ability of the drug to stay in our system depends on the strength of the drug i.e. we are taking a long-acting drug or short-acting drug. The half-life for the short-acting drug is 15-25 hours and for the long-acting drug is 38 hours. The action capacity will last until 10-21 hours. Generally, a drug can stay in 12 hours and its effect lasts for 4 hours and for extended release tablet it will be up to 12 hours. It is absorbed totally by the gastrointestinal tract and distributed to blood. The majority of the drug is converted to tropic acid or tropine and part of the drug are excreted through urine. Traces of this drug are found in breast milk. It passes the blood-brain barrier and the placental barrier. Elimination: efficient drug should be excreted in large amount. After administration drug is distributed ant it gets excreted through various ways like urine, bile, breast milk, tears etc. Hyoscyamine is excreted 50% through urine. Feces excretion is considered in fewer amounts. Hyoscyamine is assigned as category ‘C’ in pregnancy. It shows adverse effect shows in animal studies and it affects the fetus. There is no effective result for human studies. If there is no effective alternative for this medicine then it can be taken with doctor prescription. It is categorized under L3. It shows moderately safe and there are no controlled studies towards it. It is causing no effect to feeding mother. But this class of drug is known to pass into breast milk and it will cause highly damage to the fetus. Consult a doctor before using this medication. Hyoscyamine should be stored under room temperature. Expired medicine should be thrown immediately. It is one of the major components of belladonna alkaloids. It belongs to anticholinergics drug class. It has both inactive and active ingredients. Each tablet is made up of active ingredients like methenamine, monobasic sodium phosphate, methylene blue, hyoscyamine sulfate. Hyoscyamine sulfate: exists in white powder form. Should be kept away from light (loses its activity). It is considered to be soluble in water and alcohol but insoluble in ether. Methenamine: exists in colorless, crystalline form. Freely soluble in alcohol, chloroform and in water. Methylene blue: dark green crystal appearance. Soluble in water and chloroform, partially soluble in alcohol. It is available in the market as urogesic blue. Hyoscyamine: It is freely absorbed by the gastrointestinal tract and distributed throughout the body. Elimination is through urine within 12 hours. 50% is remaining in the body. Methenamine: It is absorbed by the gastrointestinal tract. Excreted up to 90% through urine in 24 hours. Methylene blue: while absorption in gastrointestinal tract it is reduced to leukomethylene blue (blood) and excreted in some form of urine (75%). Patients should not be worried about urine discoloration. It will get released in blue or blue-green combination. This is due to the excretion of methylene blue. They are available in the market in both oral form and sublingual form. Once they are administered, they rapidly distributed to entire system from the blood. It is also available in brand named Levsin SL. It is used to relieve muscle spasms, reduces fluid secretions, it is used as an effective agent to treat intestinal disorders, control irritable bowel syndrome, it is used as a drying agent to control salivation for surgical purpose etc. Every drug interacts with food and it may decrease the absorption capacity or efficacy of the drug. Grape juice is considered to be avoidable food item when taking medications like antibiotics, antihistamines, antacids etc. Seek your doctor advice for taking any certain food items along with your medication. In the case of hyoscyamine, there is no specific food that you must avoid and there are no well-developed studies on food-drug interactions. It is very useful for controlling pain when it acts together with opioids. By this mixture, it will increase the activity of analgesia obtained. It has been shown that hyosciamine can be efficient in decreasing rigidity and tremors associated with parkinsonism and may control related sialorrhea and hyperhidrosis due to its anticholinergic effects. It is defined as memory loss. From the recently published studies, it shows that 75% people using anticholinergics are subjected to dementia. An anticholinergic drug that causes dementia includes antidepressants, antihistamines, and overactive bladder drugs. Sample from adults shows that long-term use of this class of medications had led to dementia. It also leads to brain atrophy with these individuals. Can Hyosciamine cause weight loss? It is not a weight loss medication. But it causes appetite problem because of that you won’t feel hungry and it automatically lead to weight loss. This drug is suitable for treating irritable bowel syndrome and diarrhea. It will automatically lose water from the body as a result, there may be weight loss. Can I use hyoscyamine if I have neurophaty? Autonomic neuropathy is a condition which is raised when there is a problem with the nerves which handles blood pressure, sweating, digestion etc. This anticholinergic agent (hyoscyamine) will make the autonomic neuropathy symptoms worse than before. These include tachycardia, dry mouth, and eyes, vision problems, impotence in males. Thus a person should cautiously administer drugs with anticholinergic agents. Higher doses are not encouraged. Can I take Hyoscyamine if I have Gastrointestinal obstruction? Can I take Hyoscyamine if I have Glaucoma? It is related to eye’s optical damage. It is mostly caused by pressure build-up in your eyes. This has relation to hyoscyamine drug. Patients with glaucoma should avoid anticholinergic drug class drugs. Since this class of drug causes mydriasis, it may worsen the situation. Can I use Hyoscyamine if I have Obstructive Uropathy? It is avoided in patients with urinary retention and neck obstruction. Hyoscyamine may aggravate obstructive Uropathy. Caution is taken in elderly patients even with a minimum dose of hyoscyamine. Can I use Hyoscyamine if I have Respiratory tract diseases? 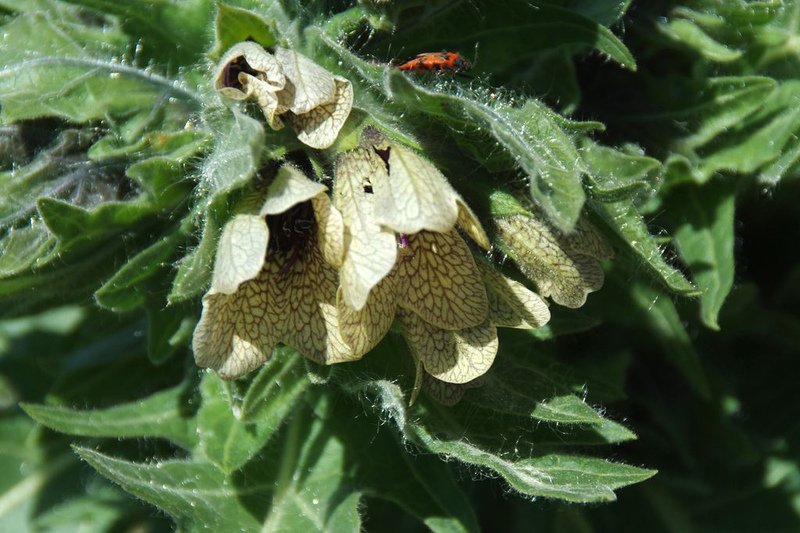 Hyoscyamine is restricted in patients with low respiratory tract infections like asthma. This class of drug causes a reduction in the fluid secretion and it increases the thickening because of accumulation. Can I use Hyoscyamine if I have Myasthenia gravis? It is a neuromuscular disease related to muscle weakness. Eyelid of the person will be affected. Anticholinergic agents are avoided in patients with myasthenia gravis. Can I use Hyoscyamine if I have Infectious diarrhea? Drugs with antiperistaltic activity are inhibited in patients with diarrhea because of enterotoxin-producing bacteria. These drugs may exacerbate diarrhea associated with bacteria that invades intestinal cells. Anticholinergic agents may decrease the motility of gastrointestinal tract so it will delay the secretion of fluid or toxicity. Even cough and cold products may include antimuscarinic agents so it is necessary to consult a doctor before making a selection. Can I use Hyoscyamine if I have Cardiac disease? Anticholinergic agents may block the function of sinoatrial nodal (SA) pacemaker. So drug should be administered carefully to cardiac disease patients. Can I use Hyoscyamine if I have Gastric Ulcer? Hyoscyamine may cause a delay in gastric secretion and also causes antral stasis in patients with gastric ulcer. So caution is taken in patients with gastric ulcer. Can I use Hyoscyamine if I have Ulcerative colitis? Antimuscarinic agents may decrease motility of intestine with the release of megacolon (toxic). It causes paralytic ileus because of this situation. So proper precaution is taken with patients having ulcerative colitis. Can I use Hyoscyamine if I have Liver disease? Anticholinergic agents undergo relatively fast liver metabolism. So this drug should not be mixed with liver disease patients. Can I use Hyoscyamine if I have renal disease? Hyoscyamine drug elimination is mainly by the kidney. So the drug should not be mixed with renal failure patients. Can I use Hyoscyamine if I have hypertension? Anticholinergic has severe cardiovascular activities. So patients with hypertension should avoid this class of drugs. Can I use Hyoscyamine if I have Hyperthyroidism? There is no mode of action. In general, this class of drug may increase thyroid. So hyoscyamine should be administered cautiously in patients with hyperthyroidism. Can I use hyosciamine if I have fever? Anticholinergic agents may cause hyperthermia by producing anhidrosis. The administration is restricted in persons with fever. Anticholinergic agents are known to cause cardiovascular effects. This, in turn, causes problems in patients taking hypertension medication. It is not advisable to mix these drugs. Anticholinergic agents have both advantage and disadvantage over men’s problem of prostatitis. Some patients may urinate without any reason. This problem is treated using anticholinergics but they show negative impact over them. Detrol and Ditropan are prescribed the antimuscarinic drugs for prostatitis treatment. They will help to relieve from frequent urination and relax muscles in the bladder to control urinary urgency. Can I take Hyoscyamine and Benadryl together? Interactions are adverse in the case of hyoscyamine and Benadryl. Using Benadryl along with this medication may increase the chance of blurred vision, irregular heartbeat, decreased sweating, irregular urination, constipation and memory loss. These symptoms are more likely to affect elderly persons. Since it causes drowsiness, it is better to avoid driving jobs and machinery works. Consult with your doctor about your other medication including vitamins and herbs. Try not withdrawing any drugs before talking to your doctor. Can I take Hyoscyamine and Flexeril together? Usage of hyoscyamine and Flexeril together causes side effects such as drowsiness, blurred vision, dry mouth, heat intolerance, flushing, decreased sweating, difficulty urinating, abdominal cramping, confusion, and memory problems. This is likely to affect elderly and people with less immunity condition. It is important to tell your doctor about all your medications used regularly. Do not stop using any medications without first talking to your doctor. Can I take Hyoscyamine and Norco together? Using Norco (hydrocodone) together with hyoscyamine increases the effect in persons. Side effects include dizziness, abdominal cramping, difficulty urination and problem in thinking and judgment. Consult a doctor before using these medications. Can I take Hyoscyamine and Nitroglycerin together? Anticholinergic agents such as hyoscyamine may decrease the absorption of Nitroglycerin. Specifically, anticholinergic drugs may decrease the dissolution of sublingual nitroglycerin tablets, possibly impairing or slowing nitroglycerin absorption. Can I take Hyoscyamine and Tramadol together? Tramadol is a narcotic analgesics drug class. They are used to treat back pain, chronic pain, depression etc. Till now there is no interaction between hyoscyamine and tramadol and consult a doctor before proceeding your medication. Can I take Hyoscyamine and Potassium chloride together? You should be cautious when using potassium in a solid form of drug i.e. tablets, capsules. Overdosage and mixing cause irritable effects of potassium in upper intestine and stomach. Consult a doctor if you experience these effect and don’t stop taking any drugs without a prior reminder to doctor. Can I take Hyoscyamine and Topiramate together? Topiramate belongs to an anticonvulsant class of drug and can be useful for the treatment of severe migraine headaches. It causes an increase in body temperature and decreased sweating as hyoscyamine. When taking Topiramate along with hyoscyamine leads to heat stroke and fatal for some patients. It is caused mostly in hot summer or after severe exercise (dehydration). Drinking plenty of water during warmth whether can tackle this side effect. Can I take Hyoscyamine and Xanax together? Xanax belongs to the benzodiazepines drug class. They are used in anxiety, depression and panic disorder treatment. They are nothing to do with the anticholinergic class of drug (hyoscyamine). Seek permission from a doctor before taking this medication together. Can I take Hyoscyamine and Tylenol together? When these two drugs consumed together there are only minor effects and it shows there is no alteration or medication for this therapy. Health specialist will give any pieces of advice before taking these drugs together. It is generally made of several combinations of drugs namely belladonna alkaloids (hyoscyamine, atropine, scopolamine) and Phenobarbital. This medication is helpful in the treatment of cramps in intestines and stomach. Mode of action: They work by relaxing the muscles in the stomach and intestines and slowing the natural movement of the gut. In this, each component belongs to different drug class but they will provide the same function without causing side effects. Belladonna alkaloids belonging to antispasmodics/ anticholinergics. It does the function of hyoscyamine. Phenobarbital belongs to barbiturate sedatives they help in reducing anxiety. This drug is known to reduce irritable bowel syndrome (IBS). If you are taking extended-release tablets take 3 to 4 times a day as prescribed by your doctor. Take usually every 12 hour time interval. Liquid form in 3 to 4 times a day. They should be measured with the proper measuring device not using a household spoon. The liquid form is dangerous since it contains little amount of sugar and alcohol it may raise the risk in persons with diabetes, alcohol dependence, liver damage etc. use this medicine as prescribed by the doctor. Taking along with antacids may reduce the working and absorption of this drug. Can I take Hyoscyamine and Adderall together? Adderall is the combination of the two stimulant drugs namely amphetamine and dextroamphetamine. 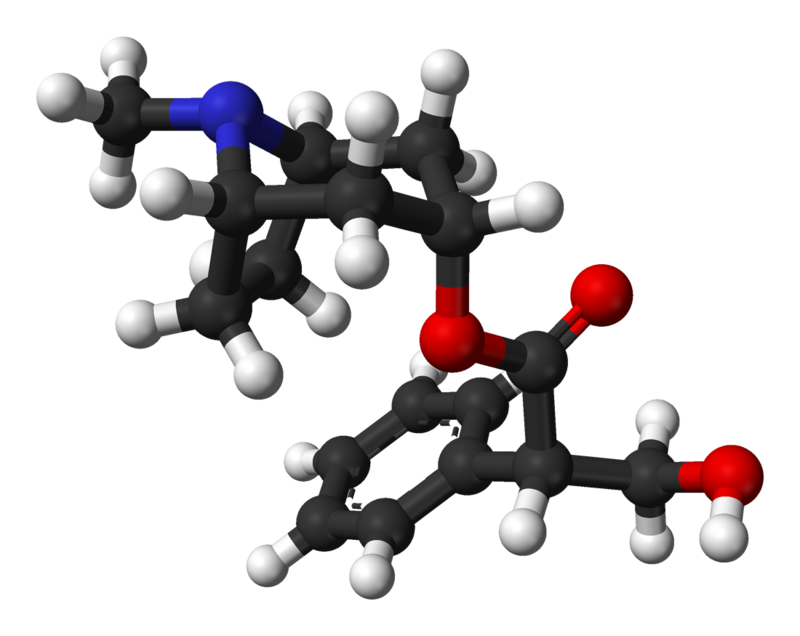 Amphetamine is derived from Alpha-Methyl Phenyl amine. It is a powerful drug for the treatment of attention deficit hyperactivity disorder (ADHD), obesity. They have divided into two enantiomers, levoamphetamine, and dextroamphetamine. It shows only minor interactions i.e. less risk when consumed together. The studies do not show clinically significant results in all patients. This minor interaction does not harm any patients and there is no need of alternative for this medication. It also shows a minor interaction between these drugs. Seeking doctor advice for the medication will be the better option. Can I take Hyoscyamine and Zofran together? Zofran belongs to the 5HT3 receptor antagonists drug class. This class of drug does its function by reducing vomiting sensation by inhibiting receptors present in vomiting center at the small intestine. They are also useful in treating nausea. They relieve us from alcohol addiction, obsessive compulsive disorder, and pruritus. Hyoscyamine class of drug does opposite functions and they both are different in their own way. There are no interactions between these two classes of drugs (medications). Can I take Hyoscyamine and morphine together? Using morphine together with hyoscyamine increases the effect of drowsiness, dizziness, dry mouth, abdominal cramping, constipation, and difficulty in concentration, thinking, and judgment. Avoid working in machinery and driving after uptake of hyoscyamine and morphine. Do not stop your medicine without prior information to the doctor. Can I take Hyoscyamine and Haldol together? Haldol is an antipsychotic agent. It is used to treat mental stress and problems caused by the brain. It is not advisable to treat during dementia, it leads to death. When it is used together with hyoscyamine may increase the side effects of anticholinergic drugs like blurred vision, memory loss, sweating, difficulty urination, abdominal cramping, inconsistent heartbeat, confusion etc. The effect may be severe in the case of elderly persons or people with weak immune system. Doctor prescription is needed for buying these drugs in the pharmacy. Can I take Hyoscyamine and Promethazine together? Promethazine belongs to the antihistamine class of drugs. They act by modifying some chemicals in the brain. When this interacts with hyoscyamine it increases the risk of side effects caused by hyoscyamine. Doctor guidance is needed if any problem occurs. The prescription is necessary for drug usage. Can I take Hyoscyamine and with OTC fixed combination drugs? Antihistamine, anticholinergic, and decongestant used to treat stuffy nose, runny nose caused by dust infection or common cold as a combo. Antihistamine inhibits a natural substance called histamine in the body. It generally causes itching, cold etc. decongestant clears the nasal route. Anticholinergics produce drying effect in the chest. These medicines are available as Over the counter (OTC) drug. It should not be used for baby or child under 4 years of age as OTC. Doctor prescribed medicine is efficient in all ways against fighting infections. Antacids and hyoscyamine: when administered together, antacids decrease the effect of hyoscyamine absorption. No positive result is obtained when these two drugs are taken together. Antihistamines and anticholinergics: Antihistamines increases side effects in the person taking anticholinergic. Corticosteroids: It increases intraocular pressure. Hyoscyamine generally works by increasing cardiac rate and decreasing blood pressure. So before using hyoscyamine, it is advised to meet the doctor to know the risk of taking this drug in person with blood pressure problems. Since it lowers the blood pressure, people with already low blood pressure will need to be more cautious. They should add some more medication to tackle this situation. Can Hyoscyamine cause blurred vision? Common side effects of hyoscyamine include blurred vision and it is reported in 60% of the patients taking this drug. It is considered to be major side effect after using this drug. Immediately after taking a tablet, dizziness and blurred vision appear. It is advised not to do any work after using this medication. Driving is strictly not allowed. The patient should seek advice from health specialist for his use of other drugs related to optical problems. Overdosage or withdrawal of medication is not encouraged. Many anticholinergic agents are recommended to be taken along with food (may be before or after meals). Any medication which is not advised with food, then it may not have an effect. Here hyoscyamine is advised to be taken before food. Food intake increases the action of gut like blood flow rate, changes in pH and movement of the gut. When taking medication after food can increase the absorption capacity of the drug. It is observed in some drugs for fungal infections (Itraconazole). In the case of antibiotics, it is recommended to take in an empty stomach because the drug can act well under acidic conditions. There are no exact studies related to food size. It is observed in some medicines that eating fiber rich food known to increase drug absorption capacity. Patients using a drug which causes weight loss should be taking full food before taking a tablet. If the label states “takes with or without food” it means the medicine should be taken during a meal or half an hour after a meal. Side effects are general for every drug. Hyoscyamine has a number of side effects and yes constipation is one among them. Constipation is occurring when large intestine is absorbing too much water and it makes a stool to move slowly by making it hard. Hyoscyamine is related to the motion of stomach and intestines. So it causes constipation. Hyoscyamine causes diarrhea as a major side effect. So patients with diarrhea are advised not to take any medication along with hyoscyamine. It will aggravate the situation and lead to chronic. Hyoscyamine or Dicyclomine – which is better? Both belong to the same drug class anticholinergics. But hyoscyamine is known to reduce more problems than Dicyclomine. Dicyclomine is known to act against stomach and intestinal cramping. They slow the movement of the gut and relax it. Dicyclomine is known to cause fewer side effects compared to hyoscyamine. “Dry mouth” is the only complaint from the consumer using hyoscyamine. Early morning the tongue is very dry to suspect thirst. Dicyclomine is not known to cause dry mouth. Cramps works well with Dicyclomine. It has immediate action and fewer doses can relieve one from pain. Patients using hyoscyamine is known to use it on a long-term basis to get expected results. So it causes addiction. Dicyclomine is known to act faster by reaching gastrointestinal tract and distribution is also ultra fast. The elimination is through urine (79.5%). Through feces, the only lesser amount (8.4%). It is not showing any toxicity effects. Hyoscyamine is known to act much slower than Dicyclomine. Absorption is ultra fast by both sublingual and oral form. It is known to cause toxicity symptoms like dizziness, headache, blurred vision, hot dry skin etc. From a consumer point of view, Dicyclomine is known to be effective and better by all means. May hyoscyamine cause erectile dysfunction? Alcohol addiction: You may think drinking alcohol makes you “high”. It is not practically. Drinking excess amount may reduce the ability to have an erection. Nicotine can directly reach the nervous system and maintains and produce an erection. If taken in large amount it leads to erectile dysfunction. Hyoscyamine is used to treat nausea in a better way. When anticholinergic agent used along with antacids can be treated peptic ulcers, nausea, vomiting and motion sickness. Hospice deals with counseling chronically ill, terminally ill patients and hearing about their emotional and spiritual needs. For century’s back, they are using only counseling methods to hear their need. Nowadays they are using medications. Hyoscyamine is used to treat excessive wet tongue of some patients. This tablet is easily dissolvable in patients with wet tongue ant it will be easy medication method. Anxiety and irritable bowel syndrome are related. When there are gut irritations, it will make us “high” and it will cause anxiety. Some said that hyoscyamine is not working well for anxiety as IBS. Hyoscyamine causes overdosage symptoms like other drugs. It includes a headache, dizziness, CNS stimulation, difficulty in swallowing etc. Missing dose is one of the overdosage early signs. If you have missed a dose try to take it as soon as possible. Do not take along with the second set of dosage it will lead to overdosage. If you experience these signs contact your health care advisor or nearby pharmacy for alternatives. Measures to be taken are immediate lavage of the stomach and injection of physostigmine 0.5 to 2 mg intravenously and repeated as necessary up to a total of 5 mg. Fever may be treated symptomatically (tepid water sponge baths, hypothermic blanket). Gluten is a protein component found in wheat, barley, rye etc. It has two main component namely gliadin and glutenin. Gliadin is found to cause harmful effect to people. When this gluten reaches the digestive tract, it is unknowingly considered as a foreign invader by our immune cells and it causes bad effects like nutrient deficiencies, anemia, fatigue, digestive problems etc. An experiment did by people with irritable bowel syndrome with gluten containing or gluten free diet. People with gluten-containing diet found to have more pain, bloating, stool inconsistency compared to another group of people. Gluten is known to cause inflammation in colon and leakage in the lining. Thus taking hyoscyamine along gluten diets is not advisable without doctor prescription. Can I take hyoscyamine with alcohol? Alcohol generally causes dizziness when taken individually. Taking along with hyoscyamine may increase drowsiness and dizziness and leads to falling. Avoid going for the excessive dosage of both drug and alcohol. It is important to tell your doctor about all your medications even about herbal diet. It is not considered to be narcotic. Taking on a long term basis leads to abuse. It is prescribed along with morphine (narcotic) to relieve from dryness. Hyoscyamine is considered to be uncontrolled substance under controlled substance act (CSA). Does Hyoscyamine belong to FDA-approved category or not? It is not considered to be safe drug by Food and Drug administration department. It is not available in the market nowadays as hyoscyamine. They are available as Hyomax SR and Levbid/ Levsin. These drugs are not giving effective results as hyoscyamine gave. Can elderly safely take Hyosciamine? Reported clinical experience has not identified differences in safety between patients aged 65 and over and younger patients. In general, dose selection for an elderly patient should be cautious, usually starting at the low end of the dosing range, reflecting the greater frequency of decreased hepatic, renal, or cardiac function, and of concomitant disease or other drug therapy.